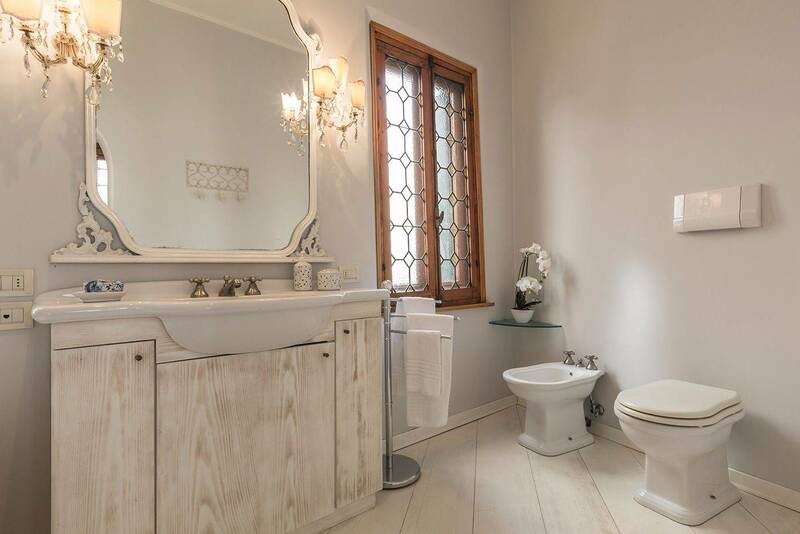 The Da Vinci is a classic Venetian Style apartment of about 120 square meters, located in a quiet street very close to Piazza San Marco, in a central position close to shops, restaurants and supermarket. 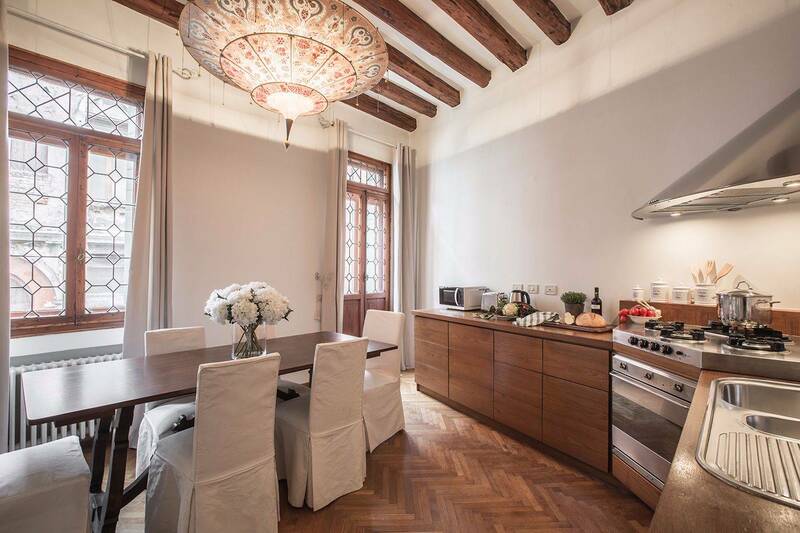 It features an authentic canal view from the many beautiful windows and the two balconies. It is part of a beautiful historic palace with a large monumental stairway that leads to the second floor (about 30 steps). 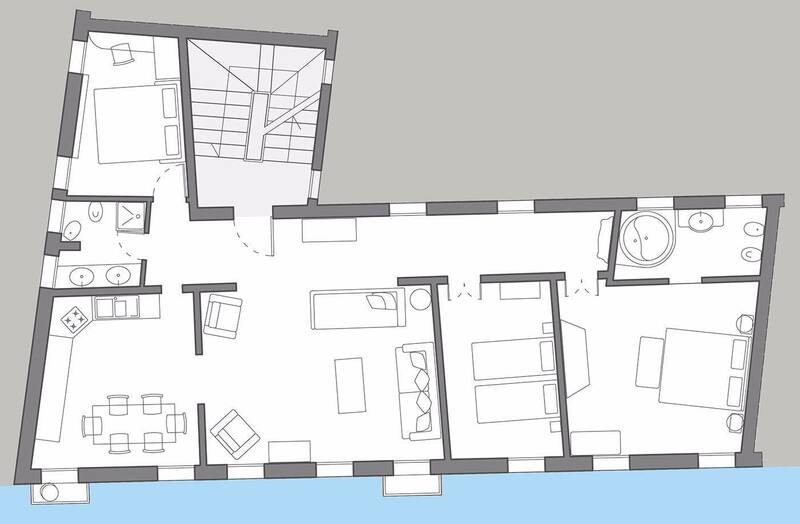 The best way to reach this apartment is by far with private water taxi, that will drop you off next to the entrance, otherwise in about 3 minutes’ walk from the Vaporetto stop San Marco. Beside the world famous landmarks such as Saint Mark’s Basilica and Doge’s Palace, some of the less-known but absolutely spectacular tourist attractions in the vicinity are the nearby Miracoli Church, San Giovanni e Paolo Church (perfect for a coffee on the stunning square), and Campo Santa Maria Formosa with its prestigious historic palaces. 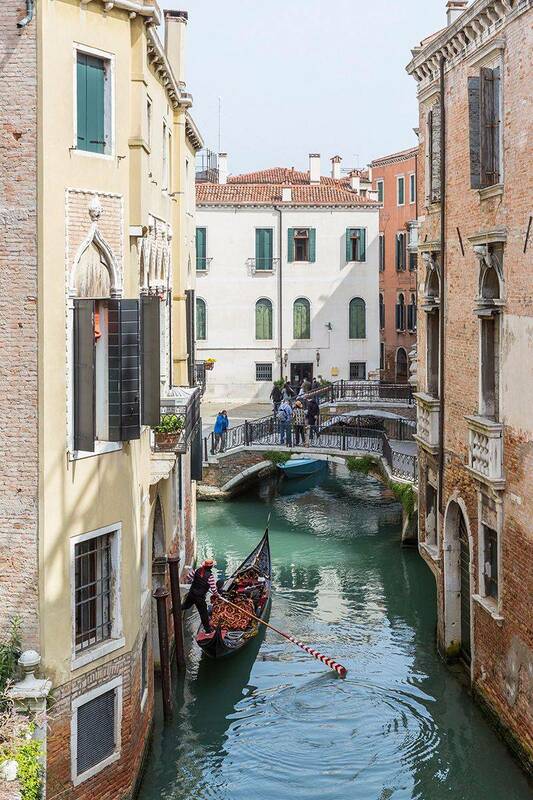 The surroundings are an infinite source of inspiration, on every bridge or “fondamenta” the view is truly Venetian. As you walk in, you will immediately understand that this is a real house, not an impersonal tourist accommodation. 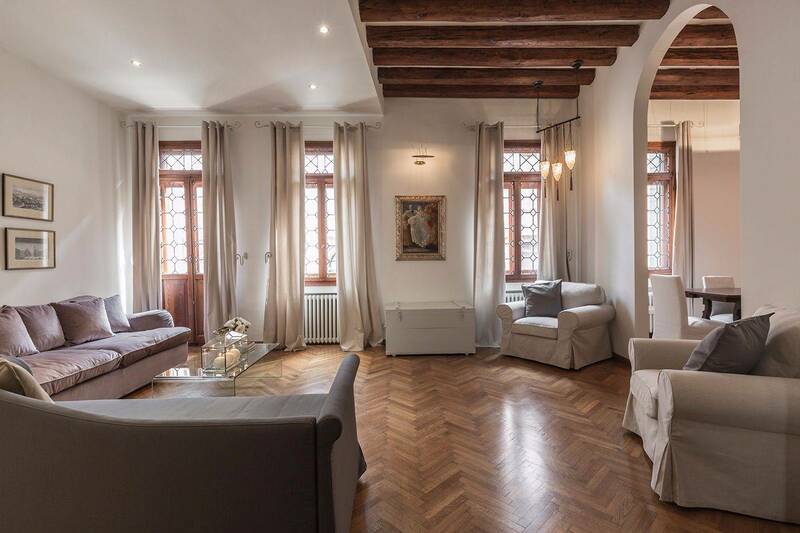 A spacious, bright and cozy living room perfectly blends contemporary style furniture with the antique wooden beams, the natural “fishbone” parquet flooring and the beautiful antique leaded glass windows. 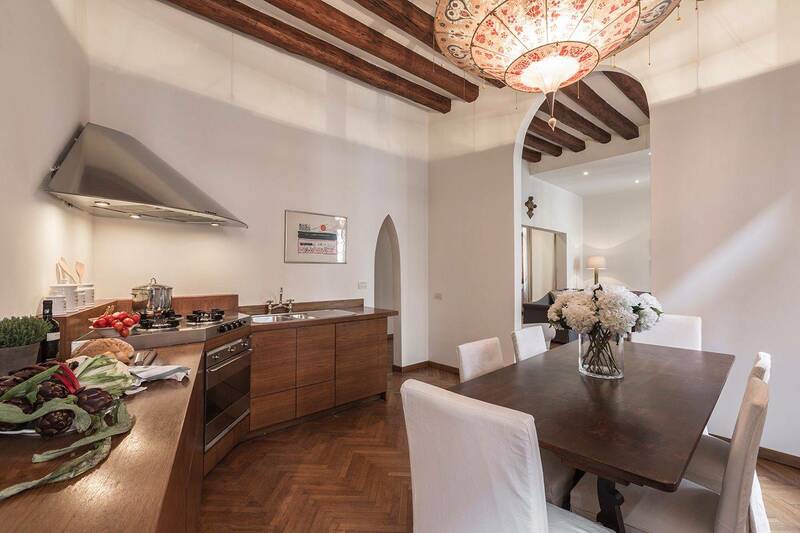 It communicates through an arched portal with an elegant tailor made wooden kitchen, well equipped with all sort of appliances and large enough to comfortably fit a table for 6 people. You can enjoy the canal view also from the balcony of the kitchen, large enough for a chair and a tiny table. View of Gondolas sliding through and pleasant serenades are guaranteed here. 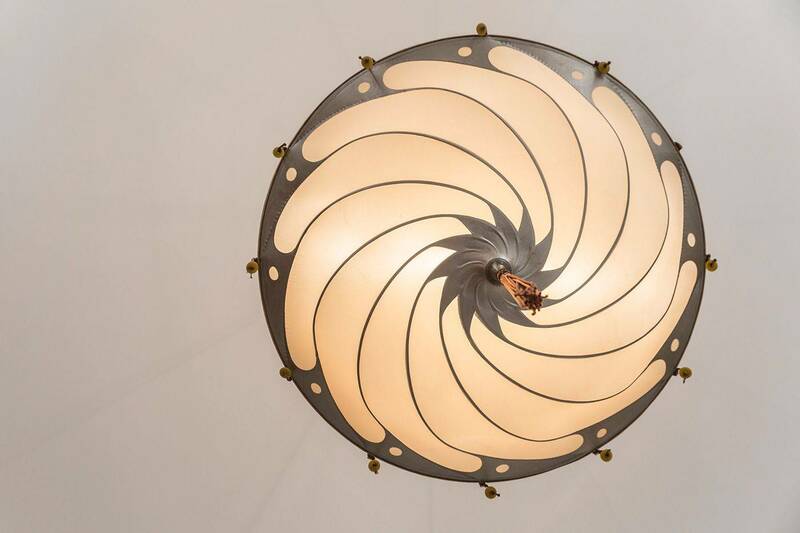 The owner furnished the Da Vinci with charming Fortuny lighting which confer a classy feeling to the environment. The living area is connected to the bedrooms though a bright corridor. There are 3 bedrooms: the master bedroom with en-suite bathroom is particularly spacious and comfortable, with large closet and whirlpool bathtub (please note that the en-suite bathroom doesn’t have doors). 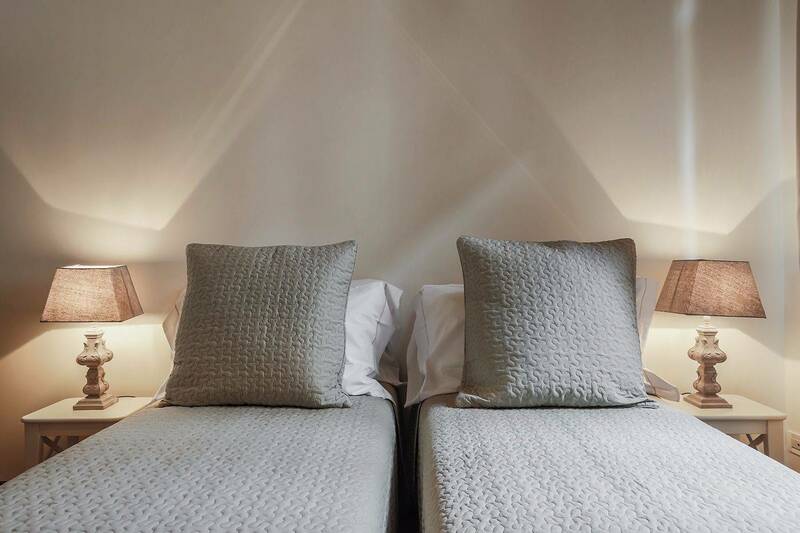 The second bedroom is large enough for 2 single beds that can be used also as double, on request. 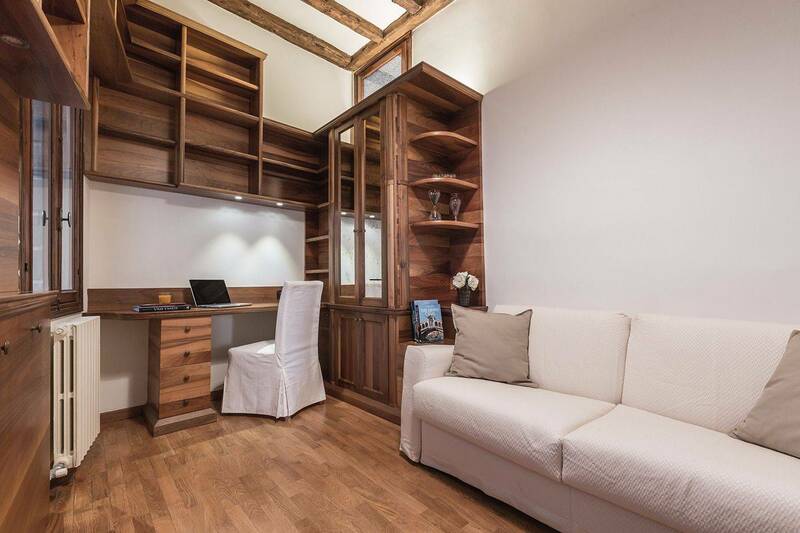 The third bedroom has been conceived by the owner as TV room/office/library, therefore it has been equipped with a double pull-out bed instead of normal bed: we suggest this room for children. 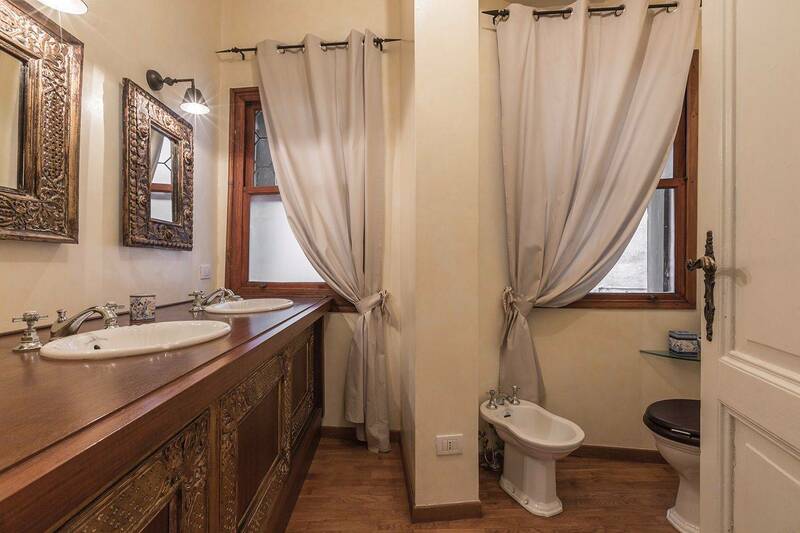 The beautiful second bathroom is equipped with large shower cabin and features a natural wooden top which requires some carefulness, as well as the kitchen! In case your group is composed of 5 or 6 people there is also a comfortable day-bed with real mattress in the living room, perfectly suitable for adults. The amenities of this house include air conditioning system, independent heating system, Wi-Fi internet connection, flat screen TV, DVD player, dishwasher, oven, professional gas burners stoves, compact fridge and freezer, microwave, kettle, toaster, hairdryer, washing machine, etc. The apartment has very good cross-ventilation, resulting pleasant also during the hottest summer days, therefore you will probably do not need to use the air conditioning system often. We suggest the Da Vinci apartment to adult couples or families with responsible children, be it for week-end escapes or long term stays. We only ask you to take care of the natural wooden top of the kitchen and bathroom, simply cleaning and drying after using it. I knew as soon as I saw the photos that this was the apartment for us. Soft, beautiful colors, spacious, gorgeous windows and a canal view. it seemed too good to be true but when we walked into the apartment with Thomas, I said, it looks exactly like the photos. The location was convenient to everything but tucked away on a side street so it was quiet. I've already recommended the apartment to friends and I would stay here again. Thank you to Truly Venice for an exceptional experience! 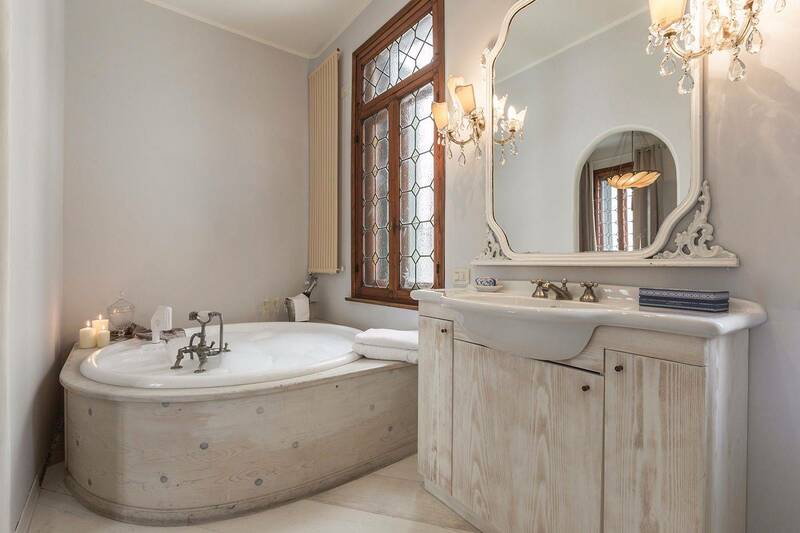 Three couples started our Italy trip in Venezia and the apartment was wonderfully located. We walked everywhere and enjoyed the view of the canal from our terrace. The bedding was comfortable and size of the unit was spacious. My only recommendation would be to replace the large sofa in the living room. It is worn and once seated, difficult to get up (support gone). Even so, everything else was great. We were met on arrival by the Truly Venice staff and a water taxi was arranged as well for departure to the train station. Pick up was on the canal which saved us the effort of hauling luggage through the densely populated streets. This was my second time booking through Truly Venice, very professional management team. Thanks! The Truly Venice representative showed us into the apartment, explained how everything worked and gave us a map with great recommendations for shopping and eating. He also helped us book our return water taxi, which was extremely kind and helpful! 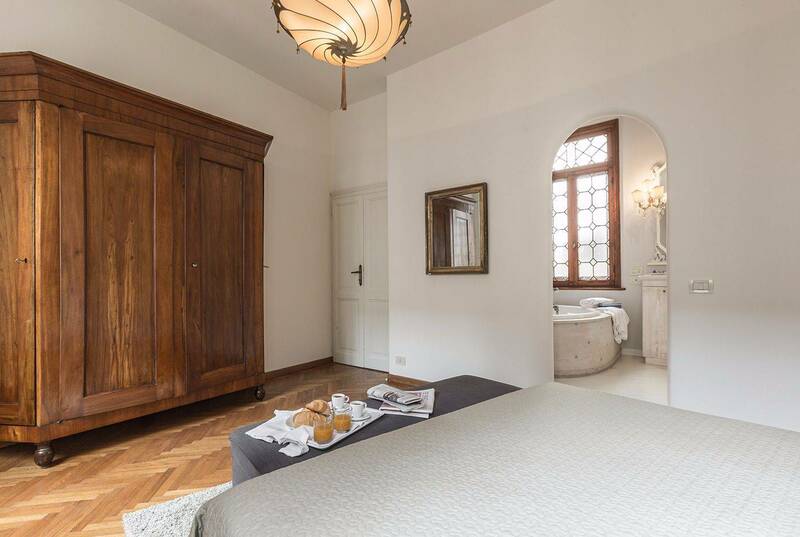 The apartment itself is beautiful - featuring handmade wooden kitchen, spacious rooms and Venetian glass lighting. The apartment is very well equipped and has everything you need for your stay. The apartment has two small balconies over a canal where gondolas go by frequently underneath. So you get treated to hearing the gondoliers sing as they go by, which is lovely. 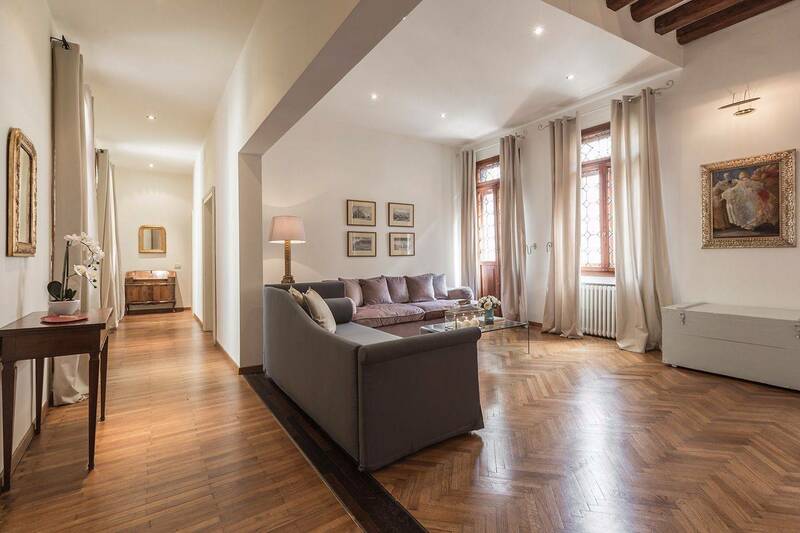 The location couldn't be better - while it's less than 200m from Piazza San Marco, you wouldn't know it. The little street is tucked away in a quiet spot, so you don't put up with loud noise at night. It's perfect to walk to all the main attractions from here as well as to retreat to the apartment and escape all the craziness. If we ever return to Venice, we'd definitely come back and stay here. I checked out numerous websites to find the right apartment for our celebratory stay in Venice. 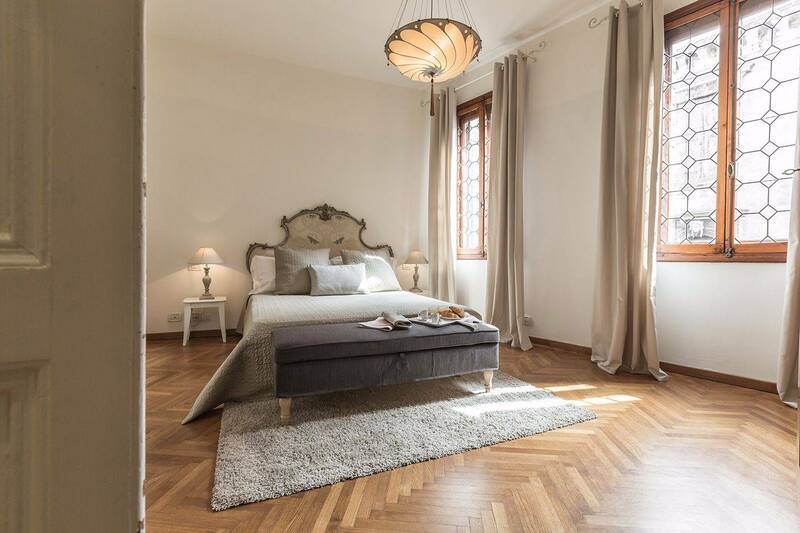 Truly Venice offered exceptional apartments all over the city but we chose Da Vinci because of its great location, beautiful Venetian decor and excellent facilities. 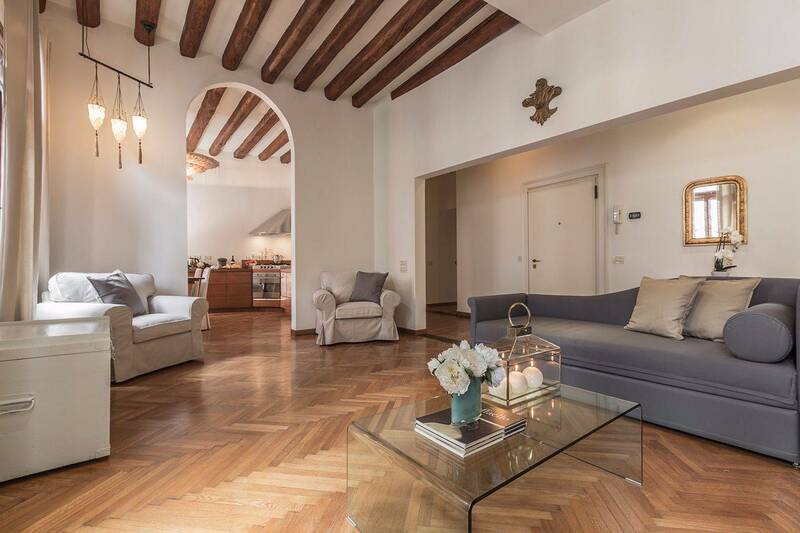 There aren't that many apartments where you get two excellent bedrooms, two bathrooms ( one en suite) and 2 balconies overlooking a picturesque canal that is a main route for the gondolas. The whole apartment is extremely high standard, with a handmade kitchen, jacuzzi bath, a separate TV room and quality furnishings throughout. 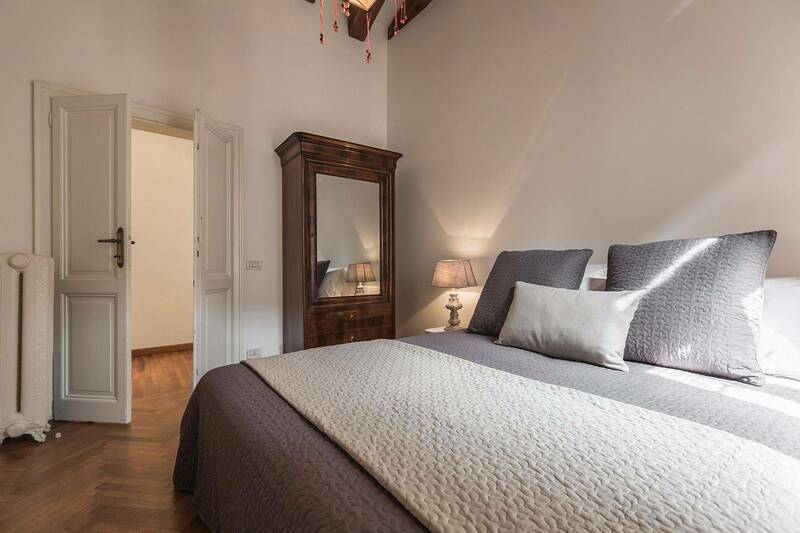 Right in the heart of San Marco, just a stones throw from the main shopping area but tucked away in a quiet private courtyard. Plenty of space to relax after a days sightseeing, watching and listening to the gondoliers as they steer the tourists through this pretty little canal. Note, the apartment is on the 2nd floor so two flights of steps to negotiate. Starting with the water taxi arranged by Thomas that delivered us almost to our doorstep, our stay exceeded our expectations. 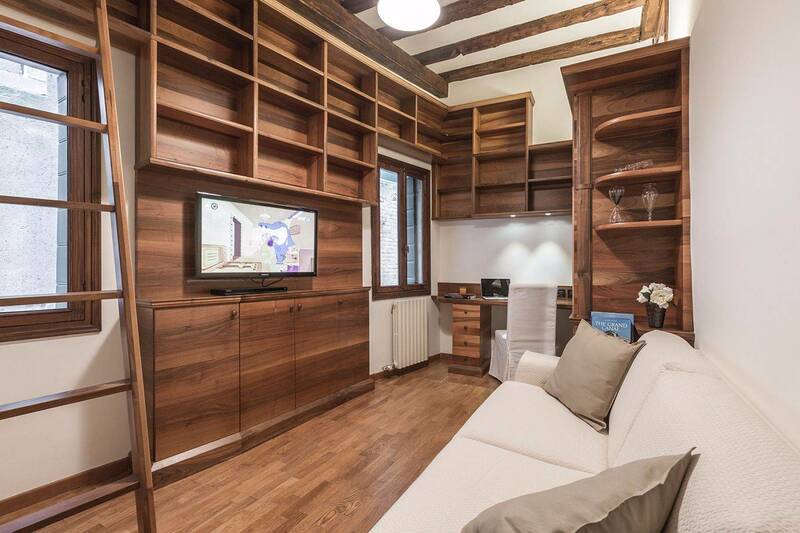 A beautiful apartment on a canal where we could watch the parade of gondolas go by, plenty of space for our group. San Marco Square was a five minute stroll, Rialto Bridge not much further. A nice little market just around the corner. We would recommend that you try the restaurants recommended by Thomas. They were just far enough off the tourist track to make us feel like locals. Da Vinci apartment was as wonderful as depicted in the pictures. 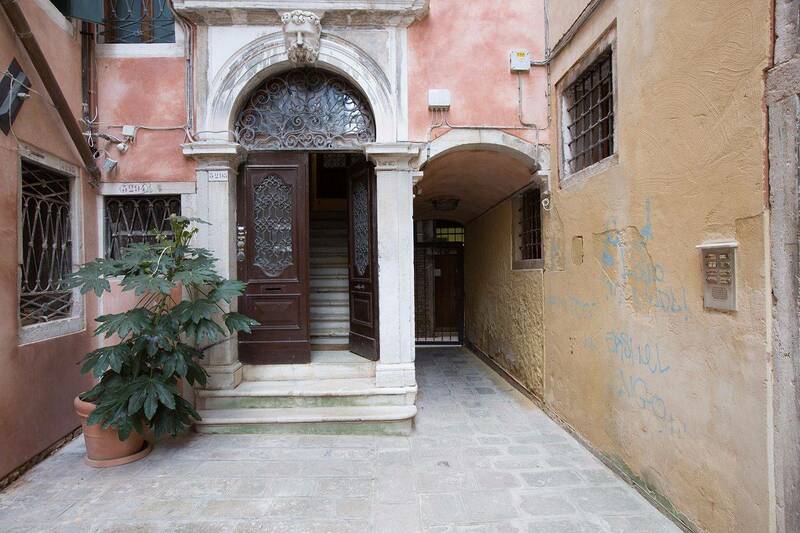 It is located close to Rialto and San Marco yet situated in a quiet, private location with a Venetian entranceway. Great kitchen, baths and bedrooms, all exceptionally appointed and clean. Prompt response from friendly staff. Highly recommend. 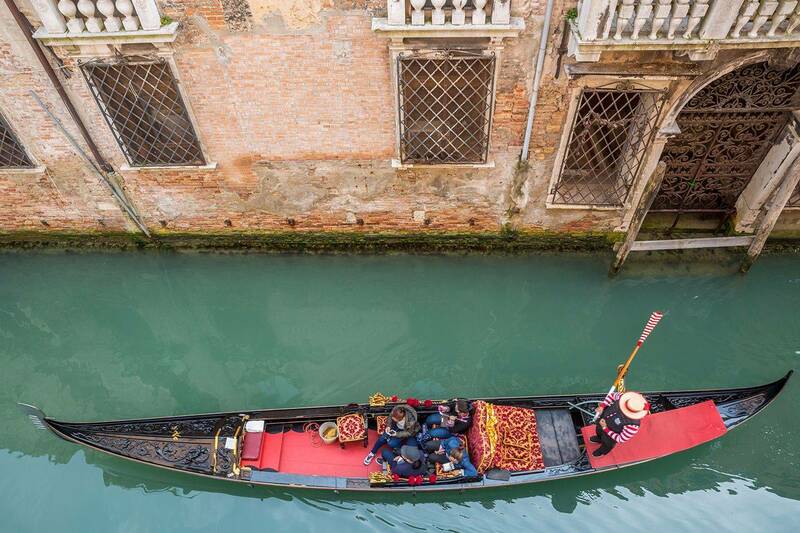 On this our 32nd visit to Venice, we are very familiar with all things Venetian especially the rental process which can oftentimes be slow and or awkward. 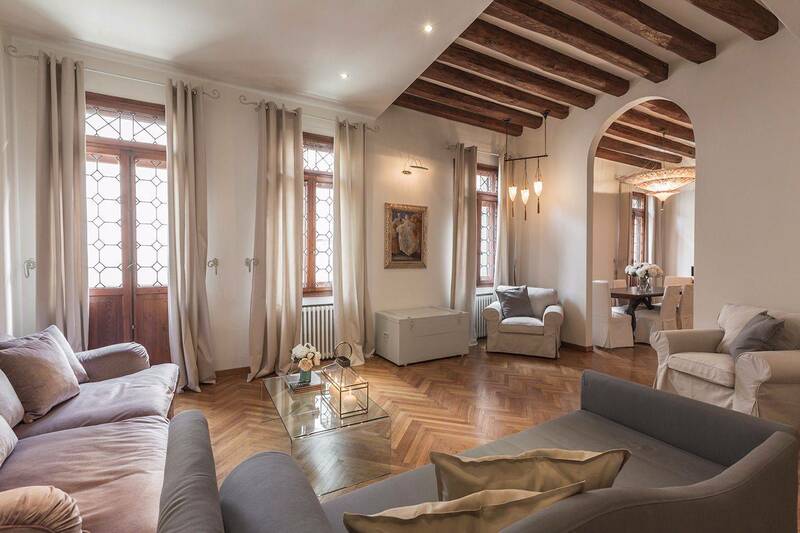 This time we chose to rent through Truly-Venice which is a beautifully managed rental agency with lots of varied properties to choose from. We were very fortunate to rent The Da Vinci apartment and we will be coming back to this lovely place again...as it is one of the finest rental properties we have ever had. 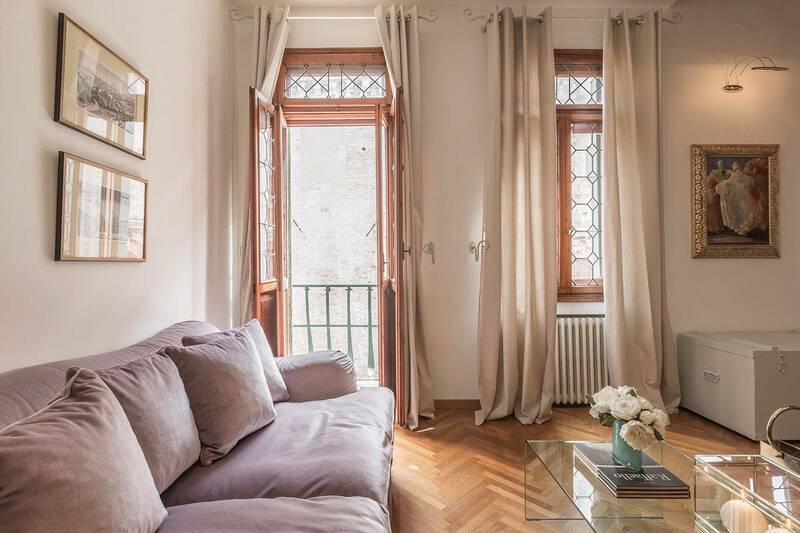 Located very centrally in Campo Santa Maria Formosa, the apartment is open, airy and spacious with lovely Venetian decor...soft colors, comfortable furniture, lovely linens and a completely outfitted kitchen. Some other important assets are that you can arrive by water taxi from the airport just steps from the apartment entrance and be met by Truly-Venice management people. Thomas and Hannah are exceptional and will look after your every need. They did a fine job of introducing us to the property, highlighting near-by restaurants and grocery shops. 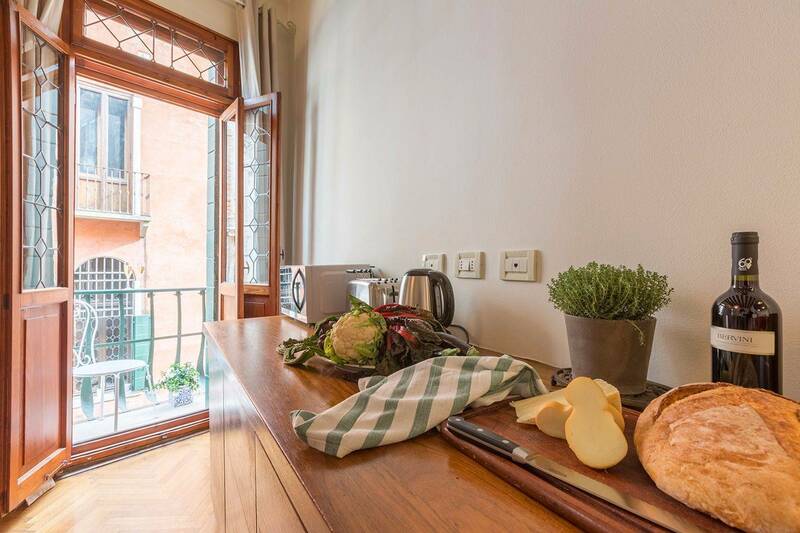 The apartment is located on a very lively side canal which is a main Gondola route...It is fun to sit on one of the 2 small balconies with a glass of wine watching the happy people being serenaded by singers on their gondola rides! My husband and I are very particular and really enjoyed the professional manner in which Truly-Venice does business. 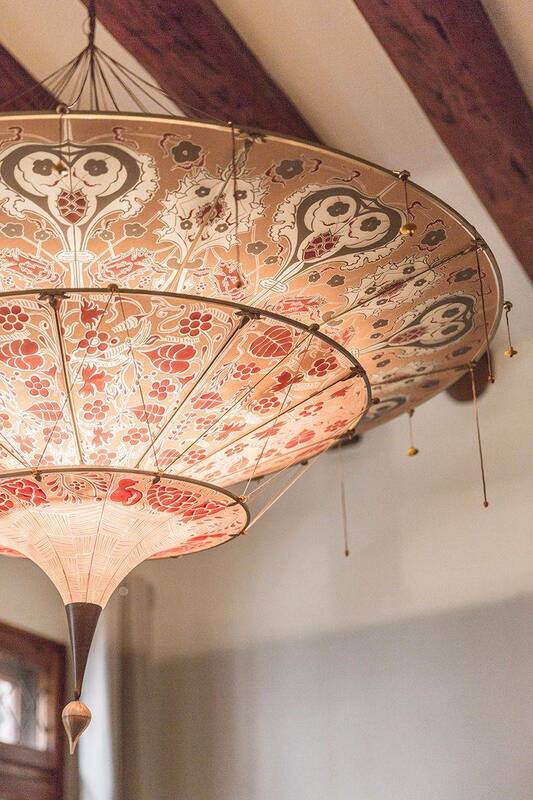 We highly recommend The Da Vinci and look forward to returning to Venice very soon again. Words can't describe just how lovely this apartment is. 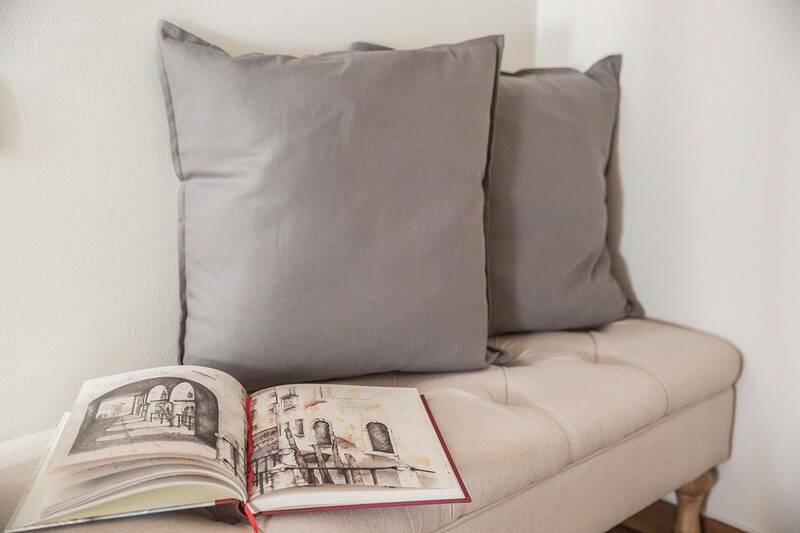 We booked through Truly Venice Apartments and our experience with them was perfection every step of the way. They have an excellent booking system and really go the extra mile before you arrive to ensure everything in the apartment is as you want it. The apartment itself is utterly charming beautifully decorated, spotlessly clean and we could have happily moved in permanently. 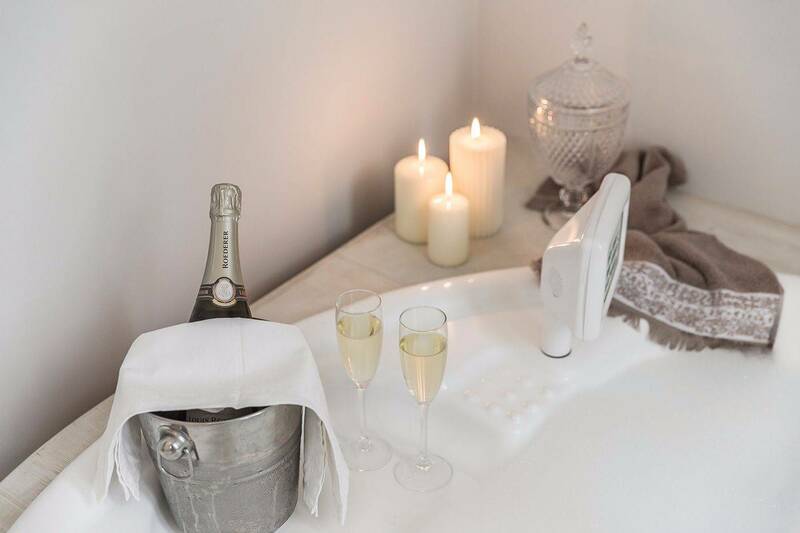 We had friends stay for 2 nights and the spacious layout and beautiful appointments ensured we had an incredible experience. You are on one of the main canals for the gondelas so we were often serenaded by passing opera singers and accordion players which we could view from the 2 small balconies. There is one flight of steps up to the front door (no lift). We were given a map marked with our apartment and local restaurants to try and this proved invaluable. We also made use of the excellently furnished kitchen as well as the washing machine (this was part of a 4 week trip). 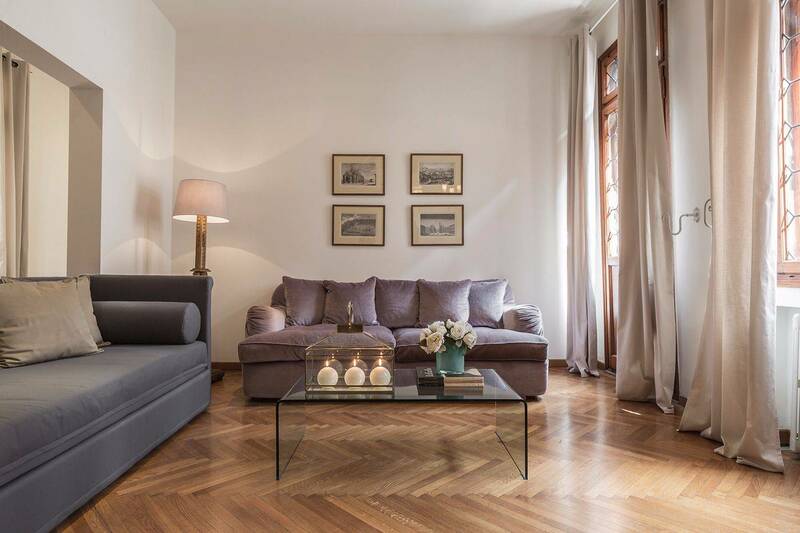 The apartment could easily accommodate 6 adults and you really are in a great location, part way between St Marks Square and the Rialto Bridge. 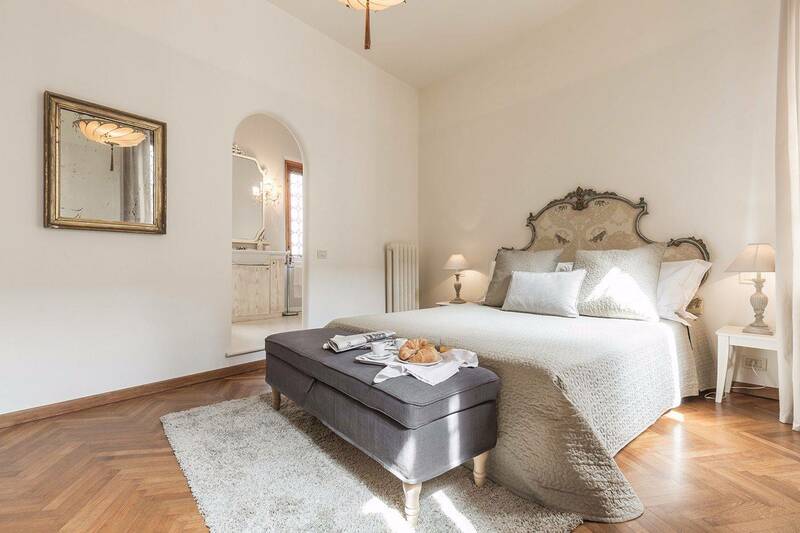 Any enquiries we had during our stay were dealt with with friendliness and professionalism (something we did not experience with a particular Air BnB booking in Florence). 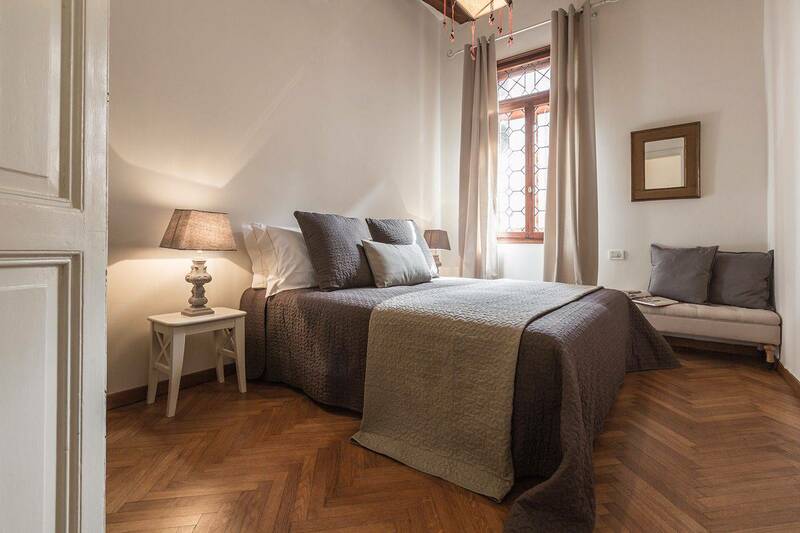 The peace of mind of booking through a reputable and professional company like Truly Venice Apartments ensures there are no unfortunate hiccups or nasty surprises! 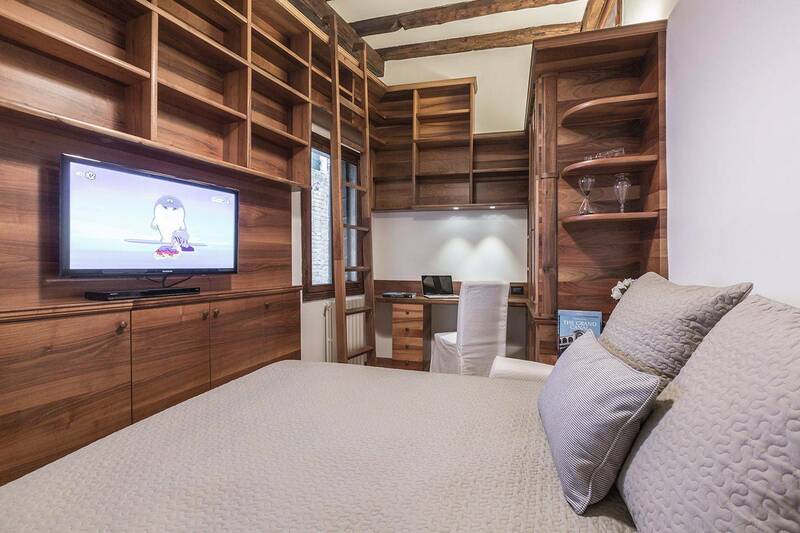 We would book this apartment again in a heart beat! 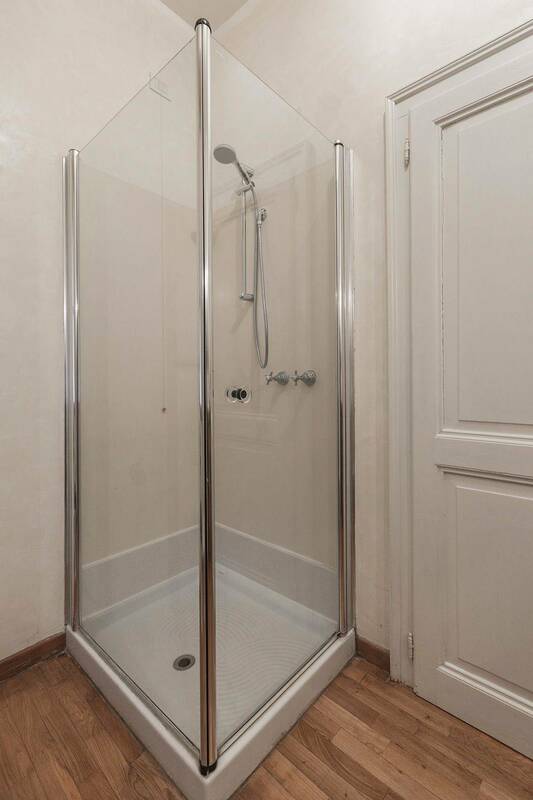 Super location right in the centre, spotlessly clean, supermarket 2 minutes away. Great apartment, tastefully decorated and very stylish. Gondoliers passing the balconies all day. You will not be disappointed with this place. I'm quite fussy, and I loved it. We stayed at the Da Vinci for 3 nights in September 2017. 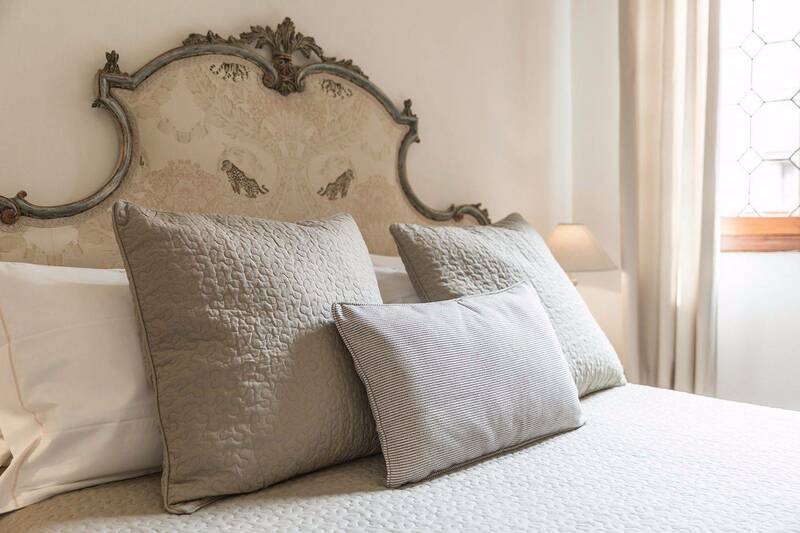 This was a dream apartment combining an excellent location, elegant styling, and very comfortable beds and linens all in one. A beautiful apartment with everything we needed! The value and amount of space far exceeds a local hotel. From your street just make 2 lefts and in 3 minutes your are in St. Mark's square. 5 minutes to the Rialto Bridge. The Truly Venice representative was excellent in escorting us to the apartment and providing helpful info and tips. We had a truly wonderful stay at the DaVinci! What a position! Close to Piazza San Marco, yet not far from Rialto. This perfectly located, gorgeous apartment was perfect for our family of 4, including our two late teen sons. 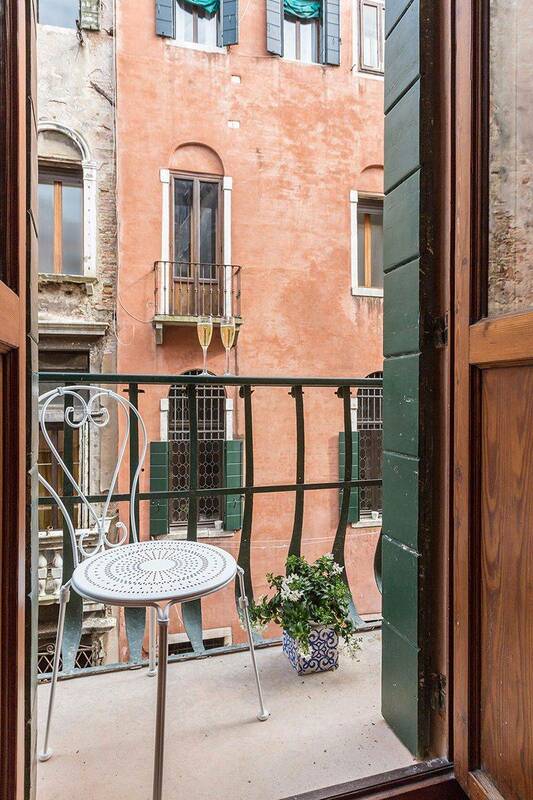 From our small balconiy and large windows, gondolas passed below, the outlook was surreal, we couldn't believe our luck with this apartment. Beautifully fitted out, we had a haven to come back to in the evening. Shops, restaurants and sites in your own neighborhood. What a fantastic spot to base yourself in this wonderful city. We stayed at the Da Vinci apartment for two weeks, and could not have been happier. The rooms were beautifully decorated and kept very clean by the attentive staff. The location was fantastic - just a few minutes from St. Mark's in one direction, and the Rialto close by in the opposite. 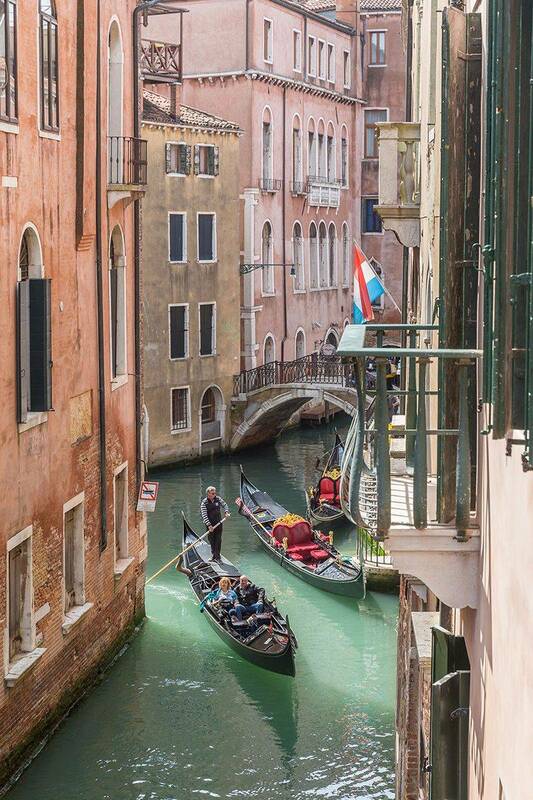 Each evening we would sit at one of the balconies overlooking the canal, glass of wine in hand with the bells of St. Marks ringing soon to be followed by a serenade from a gondola below. Wonderful! Thank you. We had a great stay in a great apartment! The Da Vinci apartment was beautiful, and location and facilities were superb. But what made the weekend perfect for us was the welcome we got from Thomas (he gave us many tips about restaurants, groceries, transport, etc...), and the timely and helpful assistance of the Tuly Venice team throughout all our stay. So . . . : top marks!